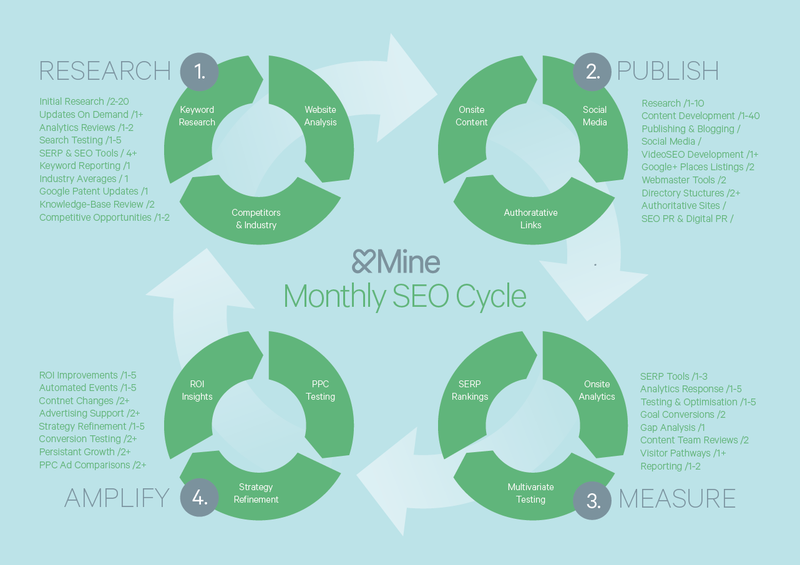 Your SEO strategy is a combination of various interrelated factors (many). We discuss a few one core one here – the OnSite SEO Keywords. SEO strategy though is a comprehensive service, detailed, complex, challenging and highly competitive. When completed comprehensively, our monthly process looks like this below ; If you’d like assistance determining which parts (some or all) of these to integrate into your strategy, contact us. Keywords are an important factor in your SEO effort, it ties your strategy together. Your content, title, meta descriptions, image tags, URL are all based upon the keyword(s) of your choice. Selecting an appropriate keyword that will bring in more organic traffic to your site is the first step to your SEO strategy. Keyword selection must be done on the basis of its relevancy to your product, its popularity with the web audience – which can be gauged upon from search engine analytics, and the competition that it will bring along. Keyword selection is not easy because the most popular ones are the most frequently used ones and thus mean increased competition for ranking. Moreover, the popular ones are often the ones that are bought for placement via AdWords. Your choice of keyword is therefore a trade off between various parameters. Always start by researching relevant keywords using the Keyword Planner. (Refer this tutorial for optimized use of the keyword planner). Select a keyword that is relevant to you by making a bargain between the search volume and competition. Most often it will be better to aim for low competition keywords but if your business and services are reputable names with authoritative web presence then you can go for high competition keywords too. Search for your site in Google and see if there are any non-optimised pages. Optimise all the pages that have not yet been and also use Google to see if the suggested Keywords have been used across the site. If no content exists for the suggested keywords then write contents matching the keywords. This will ensure that you will not have non-optimized pages, unused keywords or issues of content duplication. Link to pages within the site and also provide links to trusted sites across the web. How often do we use the keywords then? The recommended density for keywords including the page title and meta description is 10%, 4% for the exact match and 6% for phrase and intent matching. There is no hard and fast rule for this but this figure represents a fair distribution and also provides for a good flow of reading. In titles, meta descriptions and the first few lines of the content we should make sure to use the exact keywords but they should not look forced upon and disturb the readability of the page. Using keywords in titles and descriptions as early as possible is important because there is a limit to the length of meta titles and descriptions and keywords might get slashed out in case your description or tiles overflow. The importance of writing good keyword rich titles and description is not just limited to page-rank. Once you have been featured on the SERP, it is often the quality and relevancy of your titles and descriptions that helps people make a click to your site. This will help you increase organic traffic and in turn further improve your page-rank. Just remember not to write click-bait headlines. That is a shoot in the foot onsite SEO strategy as this will mean increased bounce rate and search engine penalties. Only including the required keywords and in right number does not suffice for proper optimisation. The used keywords must go on to form an informative content with proper length, readability and information. The recommended minimum length is 250-300 words but you can use more text upon necessity. Quality of the articles and its relevance are very important, especially given that keywords are not as relevant as they were and the user friendliness of the site is gaining more importance with algorithms than crawler friendliness, since crawler friendliness can be played around with. Make sure you update your sites regularly. Sites with outdated contents are not ranked properly by search engines so make updates frequently and in bulk when relevant. Make usage of multimedia contents to engage user and increase retention. While Ideal SEO Strategy – Overall, Onsite Keywords to Offsite Success forms one aspect of your digital ecosystem nothing online sits in a silo. &Mine's in-house team now delivers 159 services; Avoid costly mistakes and #WIN online. Read our expert articles, or lets talk - and you’ll get honest and direct answers right away.